Simple and devastating; the blunt image communicates anger, grief, and resilience. I keep returning to it. Johnston’s album Like Author, Like Daughter is said to represent her final days as a resident of Denver DIY venue Rhinoceropolis, which closed during the politically motivated assaults on creative spaces ushered in with the country’s new administration. In this context, “Name” aches as an anthem for cultural displacement, an ode to the expanding void. Like Author, Like Daughter is out on Whited Sepulchre. 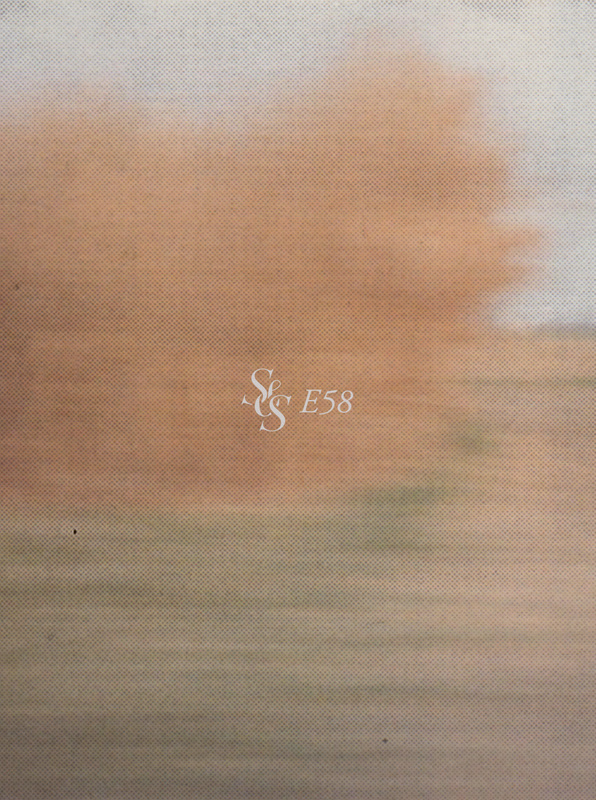 Johnston made S&S a mix of her own material; entirely unreleased save for one track (the last), featuring collaborations with Tucker Theodore of Inanambulance Recordings and Allen Karpinski of The Six Parts Seven. Like her album, these thirty minutes are heavy and beautiful. Episode 58 is lucky to host them in the top half. The show’s bottom half is lighter, flipping to a few favorites as of late: Olympia dream-pop group CCFX (DFA), Vancouver producer Yu Su’s latest ambient jazz cut via New York label Arcane, a highlight from Lee Noble’s new tape of synthesizer suites (Pale Blue), and one of ten transcendent piano studies from the hands of Billy Cigarette. Additional visual references, below.